When you are buying a car, you need to know how to negotiate. You never want to just settle on the first price that is advertised or the one that the car salesperson offers to you. Often times, this price is going to be inflated just so the salesperson can make more money off you. It is like going to a garage sale or pawn shop and just purchasing something at the exact price it is advertised for. You can almost always negotiate a smaller price if you simply ask and bargain with them. There are all kinds of ways you can negotiate with a car salesperson. 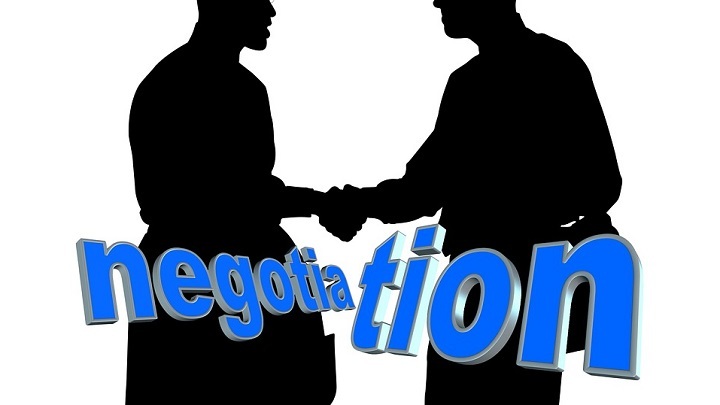 When they negotiate with you, they are using a series of sales tactics to try and get you to purchase a car at the price they want you to purchase it at. They are not expecting you to have your own series of tactics and methods of negotiating the price right back at them. Below are the top 5 negotiating tips that you can follow to get the price down to something other than what it is advertised for. Know the Value – Car salespeople are always going to assume that you don’t know the true value of the cars that you’re looking to purchase. That is why you need to do your homework ahead of time and figure out the value of the car that you’re interested in purchasing. Then, when you got to negotiate with the dealer or car owner, show them printouts from various car websites which show the real value of the car. This will likely persuade them to cut the price down to the car’s true value. Learn the Discounts – If you are a military veteran, student, or a member of the AAA, you are probably entitled to a big discount on your auto purchase. There are some dealerships that will give you these discounts but you have to ask the salesperson or else they will fail to tell you about them. Make sure you have your identification cards from Veteran’s Affairs, AAA, and/or whatever college you’re attending. Ask about Fees – The one thing that is never talked about by car salespeople upfrontare the extra fees which get added on to the listing price of the vehicle. This includes the regional advertising fee, dealer documentation fee, loan origination fee, and many others. You could have a car that’s being sold for just $15,000 and then end up paying $20,000 after all the fees are added on. Therefore, if you ask about the fees upfront, you may be able to persuade the dealer to discount the main listing price in order to make up for the extra fees. Read the Paperwork Carefully – Dealers are very slippery when it comes to the legal contracts of the car sales purchase agreement. They will often try to get you to sign on to an extra package deal which consists of warranty coverage plans, free oil changes for life, and other things that you may or may not want. Since these additions cost extra, make sure you understand their significance on the total price and whether you feel it is worth it or not. If you don’t think it’s worth it, ask the salesperson to revise the contract so that these extras are taken off. Cash Discounts – A lot of dealers will give you a big discount on the listing price of a vehicle if you are paying for it in cash. Now, if you don’t have the cash, here is what you do. Just go to a bank and get a personal loan, equity loan, or line of credit for the amount you want to spend on a car. Then, go to the car dealership and find a car that is priced about $5,000 more than what you want to spend. Offer to purchase that car in cash for $5,000 less than the listing price. The dealer will likely say “yes.” Now just use your loan money to pay for the car at a cheaper price and then make your monthly payments to your bank for the loan that you used. Every car dealership is different and some salespeople are harder to negotiate with than others. But since the deal involves a lot of money, salespeople aren’t about to just have a buyer walk out of their lot without trying to negotiate a fair price for them. They are just as eager to get a sale as you are about finding a good deal. That is how the negotiation can result in a price where you both end up happy.